U.S. Marshal Story was shot and killed while attempting to arrest a murder suspect. The 31-year-old victim went to Grantsville with a Nevada deputy sheriff to serve a warrant from that state. During the arrest, the suspect seized the deputy’s pistol and used it to shoot Marshal Story. The deputy escaped and alerted the city marshal. A posse tracked the suspect to a nearby canyon the following day. 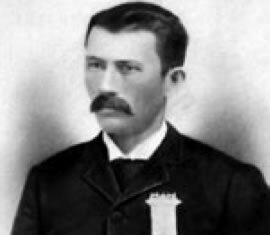 A gun battle resulted in the deaths of the suspect and a member of the Grantsville posse, Festus Sprague. Marshal Story was unmarried. He is buried in Fort Douglas Cemetery. His bronze name plaque is sponsored by the Tooele Police Department. May you find that which was lost, dear brother.